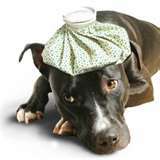 Animal Medical Center accepts payment via cash, check, and most major credit cards. So that we can continue to provide you high quality service utilizing the best medical technologies, we request that payment be made at the time services are rendered. In order to focus on our patients' needs, customer service and minimizing costs, we do not bill. Animal Medical Center offers discounted services to senior citizens and St Tammany Parish School Board employees.